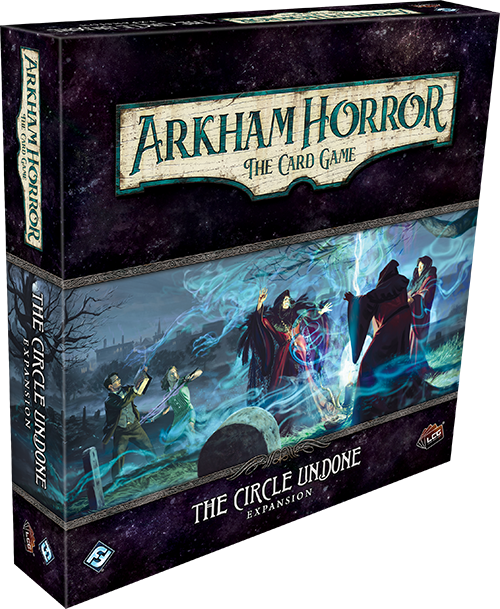 Today, we’re pleased to offer you a closer look at the tarot cards that hold the key to your fate in The Circle Undone deluxe expansion for Arkham Horror: The Card Game—now available for pre-order at your local retailer or online through our website! (The Circle Undone, 31) helps a Rogue slip into the night with extra agility. 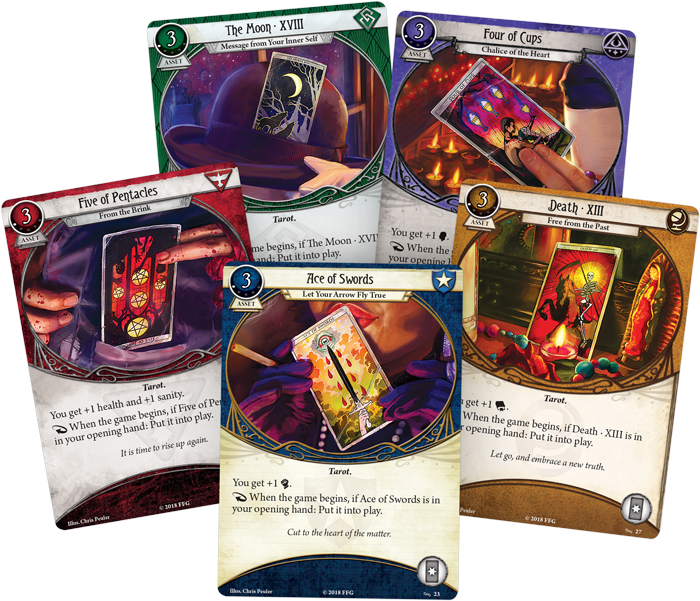 Regardless of their class, each of these assets have a cost of three, but if you have one in your opening hand, you can put it into play immediately, without spending an action or any resources. But helpful as they may be, the cards can only reveal and advise. They cannot influence or impose. How you choose to confront the challenges before you is up to you. (The Circle Undone, 40) in your investigator’s deck. This card is limited to a single turn… but what a turn that may be! You can use the Ace of Rods to take an additional action during your turn, raising each of your skills in this key moment. This could give a Seeker the boost they need to clear the clues from a location with a high shroud, or for a Guardian to wipe out a powerful enemy before they can attack. No matter what terrors may return to haunt Arkham from its shadowed past, with a flash of insight to prepare your skills and the opportunity to pull off your plans, you can take the fateful step and do what must be done. (The Circle Undone, 42). 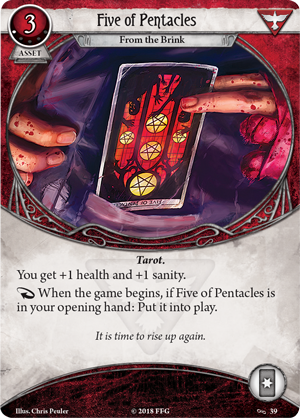 Unlike other weaknesses in Arkham Horror: The Card Game, if this Omen is drawn in your opening hand during setup, you cannot replace it. And so long as you hold The Tower, you cannot commit cards to skill tests, whether the test is your own or an ally’s. The Omen may be yours, but your fate is inextricably tied to those who fight alongside you. If you cannot help others or even yourself, perhaps your presence will do more harm than good.